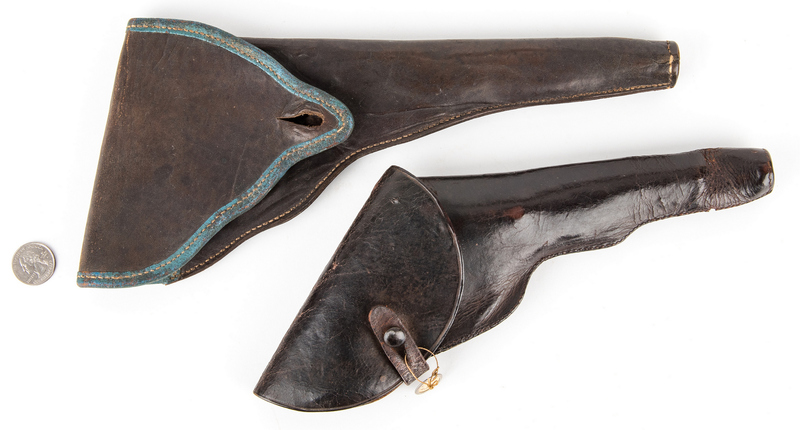 Two (2) Confederate Leather Holsters, including Richmond, VA Arsenal. 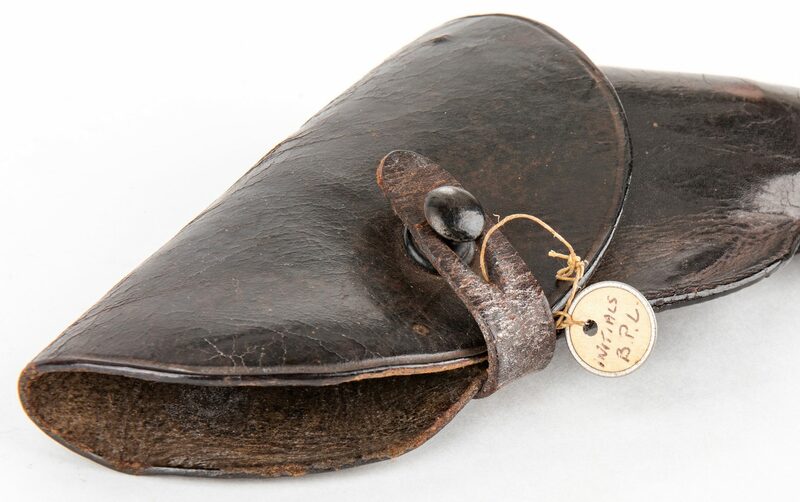 1st item: Richmond, Virginia Arsenal Made Leather Flap Holster for a .36 caliber Navy Revolver. 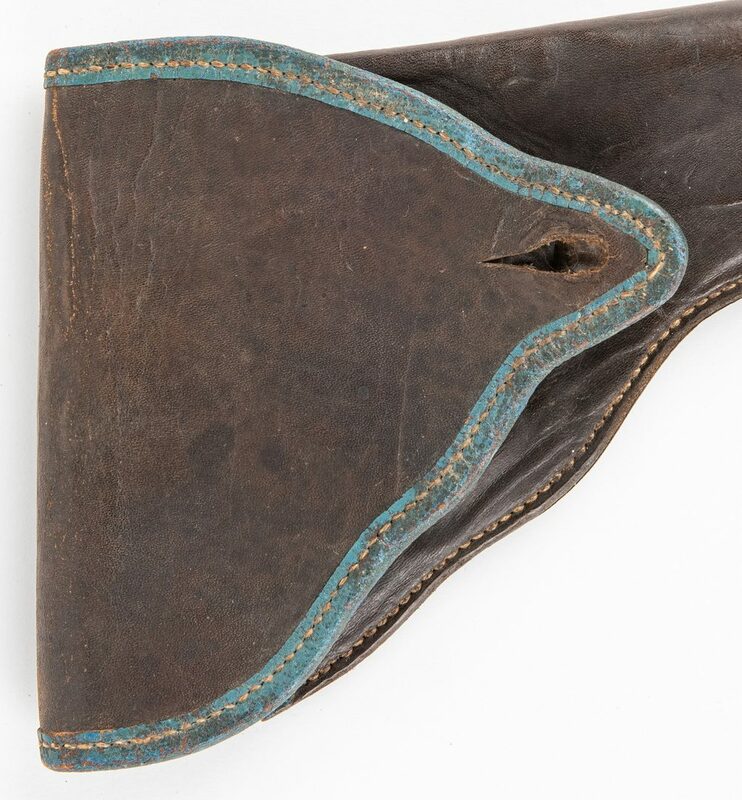 Brown leather, single stitched with blue piping on edge of flap, belt loop stitched with a standard "bullet" type stitching, plug included. 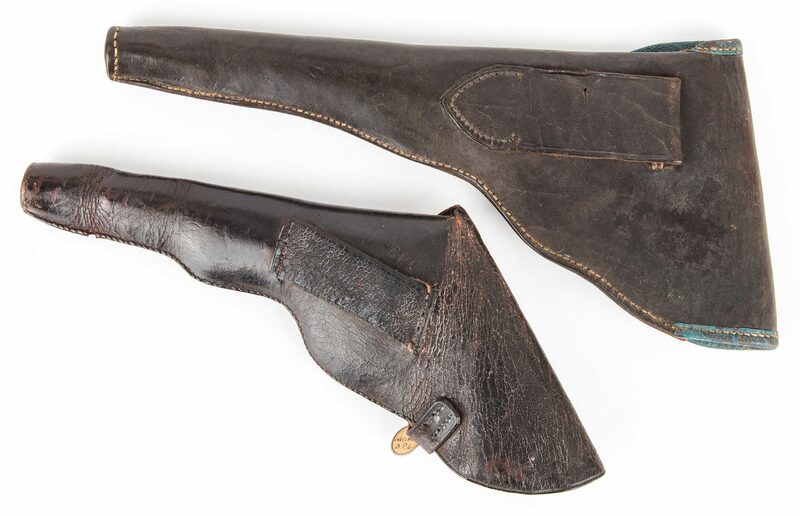 13" H x 6" W. 2nd item: Bridle Leather Flap Holster for a Small Colt Revolver. 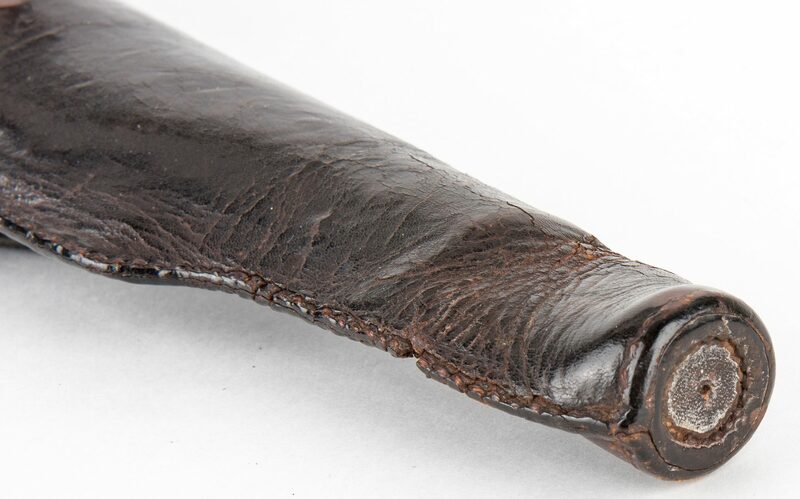 Brown leather, single stitched with single belt loop and retaining clasp. 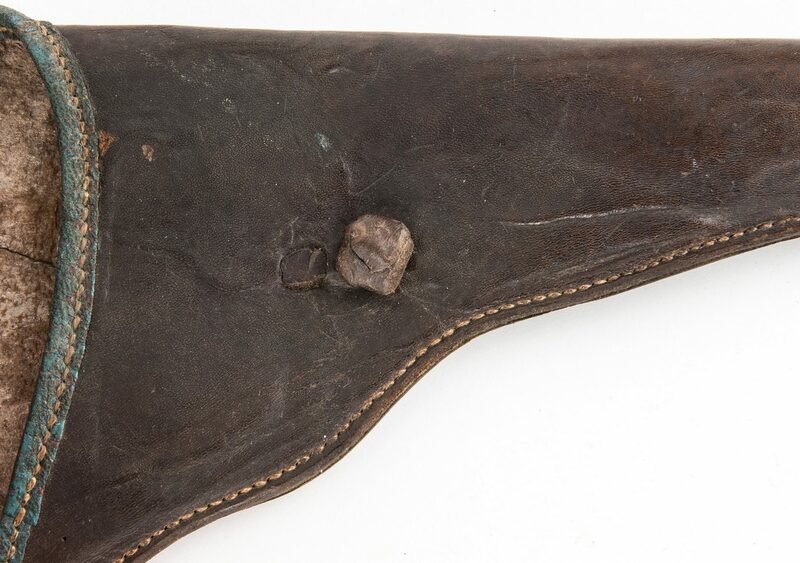 Old tag attached to closure strap reading "C.S.A. 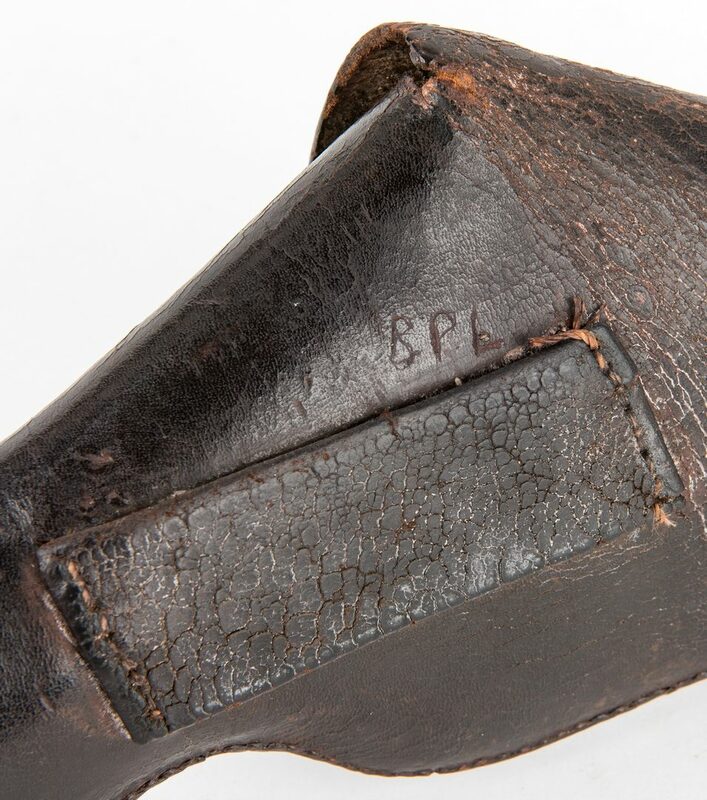 Holster" and initialed "B.P.L" on reverse. 12" H x 5" W. Provenance: Estate of Jim Maconkey, Landrum, SC. 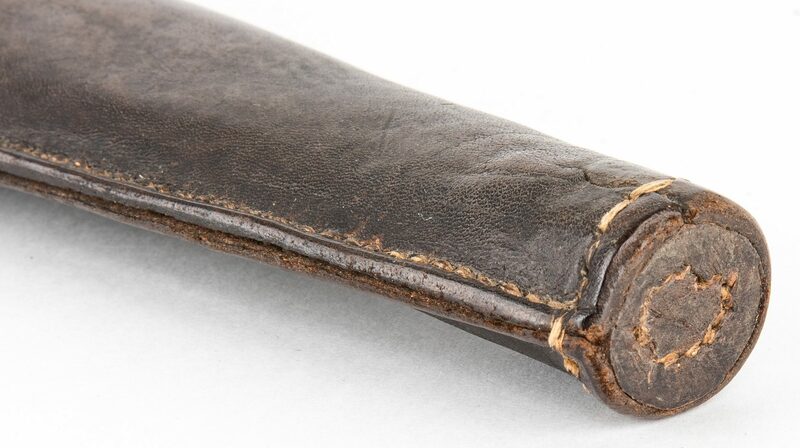 CONDITION: 1st item: Exceptionally well made with few cracks to leather. 2nd item: All stitching is strong, there are no breaks or breaks in the strong leather holster. 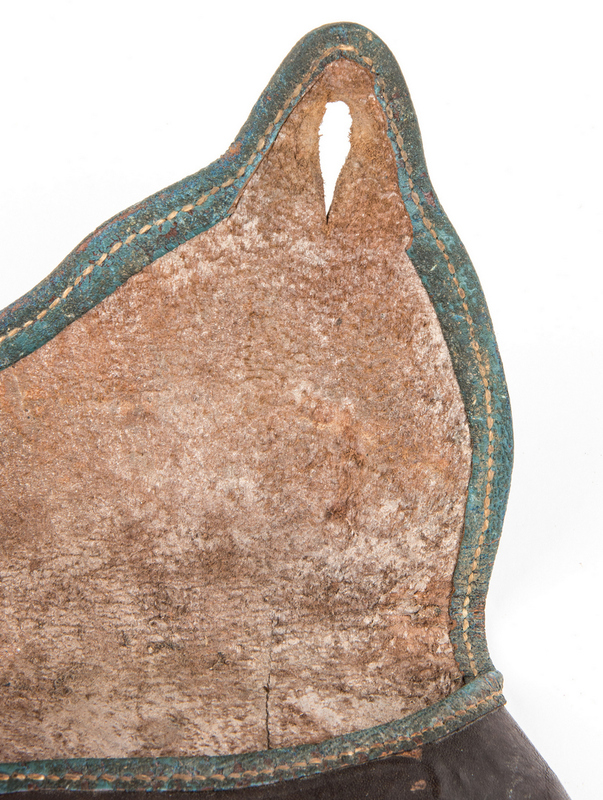 Single belt loop and retaining clasp well stitched to body.